What form does it typically take? The benefits of a company festival as a means to motivate and reward your team are many. Starting with a blank canvas, we will work with you to recommend and select fun activities, arena attractions, roaming entertainers, live musicians, interactive craft stalls and more. 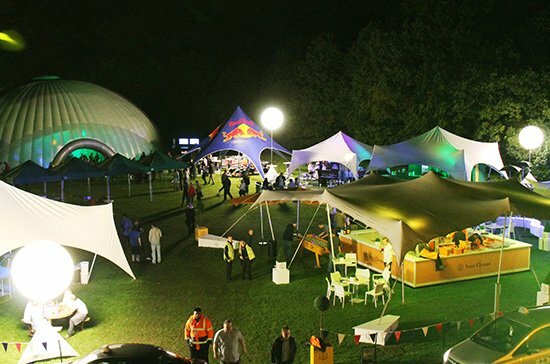 A stunning private venue, spectacular temporary structures and lavish catering within a relaxed atmosphere will ensure a winning event for your company. Do you enjoy the Festival spirit and are looking for an impressive event designed exclusively for you and your guests? Seeking an experience that will add a wow factor and leave guests with a great appreciation for your company will increase productivity and add strong brand values. We will help create an engaging marketing campaign to inform your team about the day. A slick online event website and invitation process will make it easy to register and simple to manage guest numbers on the lead up to your event. Our comprehensive project management experience with large scale events will then take your chosen concept through to delivery, ensuring the perfect on site Festival experience for all your guests. How has it worked for other people? Why The Big Event Company?